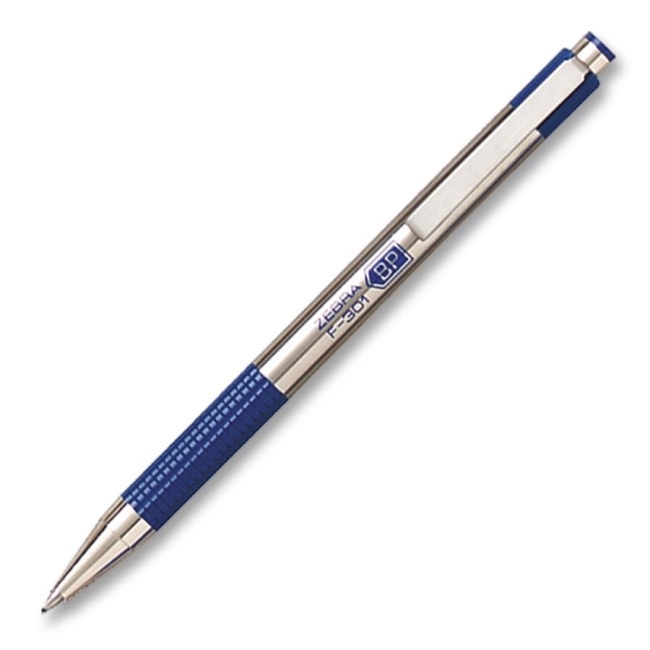 Retractable ballpoint pen features a no-slip grip for writing comfort. Stylish design offers stainless steel barrel. Fine point. Refillable with Zebras F-Refill.